To view the full article on Saratoga.com, please click here. Whether you’re interested in downsizing or would prefer a maintenance-free lifestyle, there are plenty of reasons to make the transition to apartment living. In the Saratoga Springs area, Carlton Hollow Apartments is a new independent senior living community designed for residents 55+ who would like to stay active and enjoy fun and fitness throughout the year. To learn more about these Ballston Spa apartments, we talked with Heather Schechter, the Director of Marketing and Business Development for Sunrise Management & Consulting, which manages the property. She provided insight about what makes Carlton Hollow unique, and what residents can look forward to in the future. 1) What is your role in managing Carlton Hollow Apartments? I am the Director of Marketing and Business Development for Sunrise Management & Consulting. We proudly manage Carlton Hollow Apartments, and I’ve been working on the planning of branding and amenity offerings of this community for the past couple of years now. We welcomed our first residents in May 2018, so it’s been very exciting to see it come to life. 2) Would you be able to provide some background info about how the apartment community got started? Carlton Hollow Apartments is a development partnership between the Amedore Group and Sunrise Management & Consulting. 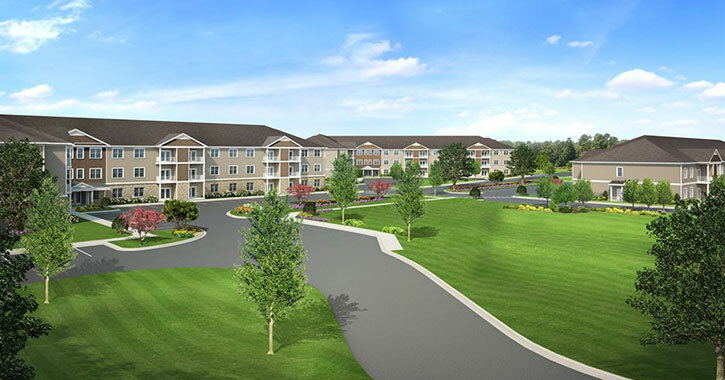 After our companies’ successful partnership on Van Allen Apartments in North Greenbush, we decided to partner again for Carlton Hollow Apartments. 3) Was the Ballston Spa location chosen for its proximity to Saratoga Springs and everything it has to offer? 4) Who would you say is your ideal resident? Someone who leads an active lifestyle? So Carlton Hollow Apartments appeals to those 55 and older who want to couple a beautiful maintenance-free apartment with amenities that let them enjoy fun and fitness year round. 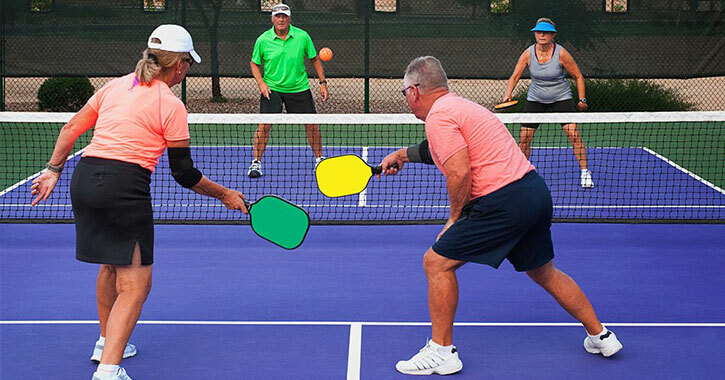 To stay active, residents will be able to enjoy the indoor pool, two-story pickleball court, fitness center and sauna, and strolls around the community and surrounding residential neighborhood. We have had residents move in from communities that weren’t targeted to those 55 and over who have described the friendships and camaraderie they were able to develop playing cards together in the community room and enjoying community activities like a Halloween party. 5) What kinds of apartments are offered at the community? We have three floor plans, or apartment types. 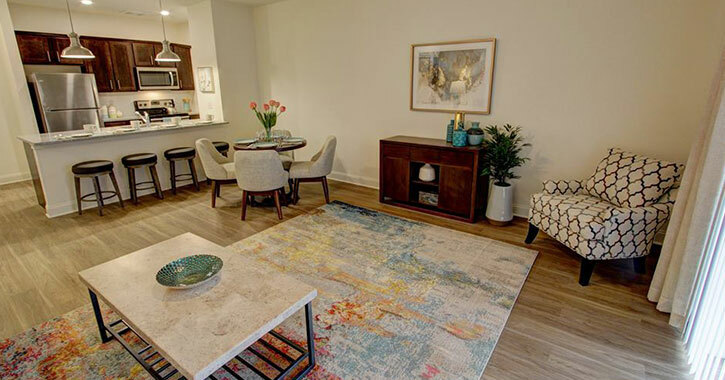 The Springs is the one bedroom, one bathroom floor plan type, The Putnam is the two bedroom, one bathroom floor plan type, and The Ballston has two bedrooms and two bathrooms. The floor plan names were taken from landmarks in the surrounding community: The Springs’ coming from Saratoga Springs, The Ballston from Ballston Spa, and The Putnam from the Gideon Putnam, named after the man who founded the hotel and was known as Saratoga’s founding father. 6) How many people can the rooms accommodate? Each of our apartments can accommodate two people per bedroom. 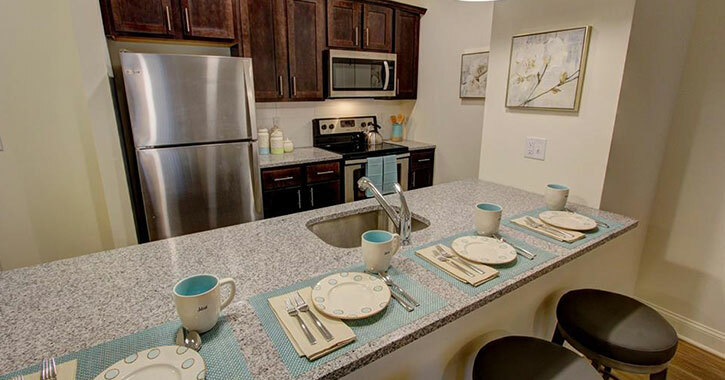 So with our two bedroom floor plan, you can have up to four people. 7) For a senior looking to downsize, what amenities or furnishings does each room offer? Residents will appreciate the nine foot ceilings, washer and dryer, kitchen pantry, central air and heat, and the one and two bedroom open floor plan. Each apartment features a gourmet kitchen that includes a breakfast bar, stainless steel appliances, and granite countertops. Adjoining each apartment’s living room is a private balcony to enjoy the outdoors while at home. 8) Could you describe the types of amenities the property features? Right now (early 2019) the first of three buildings is finished and has residents. The amenities that the first building offers are the fitness center, community room, and a pool and sauna are expected to open soon. We also welcome residents’ beloved pets. The community amenities that will be available when the other buildings are complete include the two-story pickleball court, salon for hair and nails, patio with barbecue area, lounge, movie theater, billiard room, library, and card and game room. 9) And finally, what would you say makes Carlton Hollow Apartments special? Carlton Hollow Apartments offers upscale apartment living with community amenities that provide fun and fitness year round. 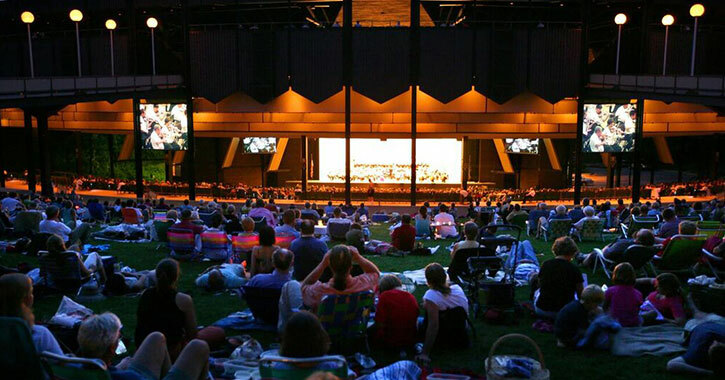 Whether our residents move to the community to enjoy the nearby attractions, or are in the area already and looking to downsize, Ballston Spa and Saratoga Springs offer cultural attractions any time of the year. Living in a community for active seniors where there are plentiful ways to stay fit and socialize is a special experience for our residents. Carlton Hollow Apartments is located at 2000 Carlton Way in Ballston Spa, NY, and tours of the community are available by appointment. Contact them today and begin your transition to independent senior living at this apartment community.